Dairy farming, dairy cattle and farmland below dramatic Maungaraho Rock (221m) peak. Native forest remnant below. 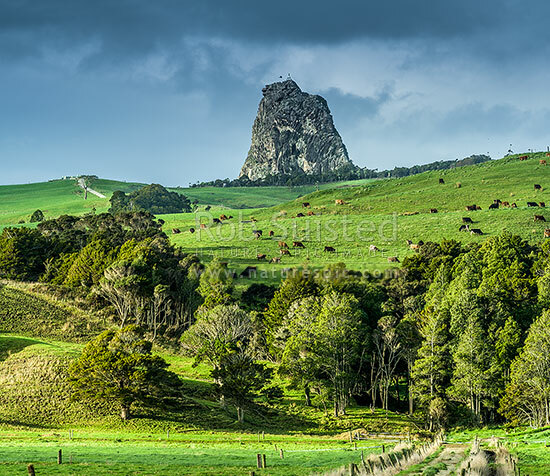 Square format, Dargaville, Kaipara District, Northland Region, New Zealand (NZ), stock photo.